Twelve organisations have triumphed in a challenge to find new and innovative solutions to help young people into work. Successful bidders for the Youth Employment Innovation Challenge will share in $10 million to create job pathways for youth in regions that were experiencing high rates of youth unemployment above the state average when the Challenge was launched last March. Regions being supported through the Challenge include the Illawarra, the Shoalhaven and Southern Highlands, Western Sydney, Central Coast and Hunter, New England/North West, and the North Coast. Deputy Premier and Minister for Regional NSW and Skills, John Barilaro, said the Challenge adopted a placed-based approach to meet local needs. “We reached out to local communities to understand their issues and then threw out the challenge for them to come up with local solutions to get young people into work,” Mr Barilaro said. “Following a pitch of ideas, we supported 17 organisations through a 12-week incubation period and ended up with 12 we think have the best chance of success. The dozen successful bidders for the Challenge include a range of projects, like Armidale-based Poultry Hub which will train young people and connect them with employers in the poultry industry that is facing entry level skills shortages. Other successful projects included Western Sydney graphic design business, Test Pilot, whose Designing Futures project will train young people in digital and industrial design. Also, social enterprise Neighbourhood Jobs will tackle intergenerational unemployment by employing local young people who have grown up in social housing or experienced homelessness to do neighbourhood jobs. 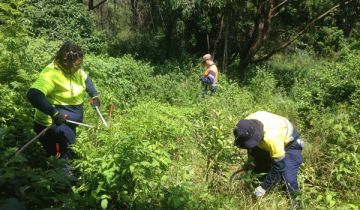 In the Illawarra, Green Connect operates an organic farm that provides jobs, training and all-round support to young people. Challenge funding will allow them to upscale and recruit more young people and transition them to long-term, mainstream employment. On the NSW North Coast, Creation Theory’s Hactivate Project has a digital platform that will enable users to build skills in web development, game design, 3D and animation so they develop skills to access jobs in the growing digital economy. Further information about the winning teams can be found on the Youth Employment Innovation Challenge website.